It is the duty parents must think they should fulfil. That duty could take place when you are young, or when you grow older, as they can bask in the heat which radiates from your burning hot, embarrassed face. But beware, at some point, your parents will embarrass you. Every parent (or sibling) has their own style. Are they cruel enough to do it publically or privately, when you’re younger or older and is it so embarrassing that your life could come to an end? Anyone seen this scene before? I know of many friends whose parents have tried to act really young and hip, and that’s been the embarrassing moment. Others have had parents who really and intentionally embarrassed them and then there is the sad parent and the unfortunate child who don’t even know they’re embarrassing each other. For example, a girl in grade 11 caught our school bus, occasionally. Her mother would always wait at the bus stop with her and try to talk to all the kids there. But one day, one cruel day where even I was embarrassed, was when that mum got onto the bus. Yes, she got onto the bus. In her pyjamas and pink dressing gown. I know by now you’re wanting the story to stop here but it can’t. The truth must be told. Her mum then walked up the bus to say hello to all the kids – some being grade 12 men, that she remembers from when they were ‘tiny tots’. The worst part of it all, her daughter in grade 11 didn’t even care. Not a jot. ‘It was normal’. I don’t think I have a story that even compares slightly to that. I asked my parents and they said they’d never intentionally embarrassed us, at an older age (yet). Only when we were young and couldn’t understand why they were making us stand on top of the seat at the train station and flap our ears so the train could come faster. That sort of stuff. Anyway, there is one story which still results in my face burning extremely red. It was pyjama day at our school and I was in grade two. (Just to let you know, when that girl’s mum got on the bus, it wasn’t pyjama day.) Basically, every child, and some teachers, could come to school in their pyjamas. I was happily entertained by the idea that I would have to do no changing from my bed clothes to my school clothes and therefore the hour which I woke up could be pushed back. My mum dropped me off at school as usual and she drove home. But unfortunately, that’s not where the story ends. My mum came back to school later that day to be a ‘helper’ . She came dressed in her pyjamas. With bunny rabbits all over them. And purple, fluffy slippers. No other ‘helper’ had worn pyjamas. With bunny rabbits all over them. And purple, fluffy slippers. I thought my life could end at that moment. Until mum turned around. On her bottom, she had accidentally ripped the pyjama pants at the gate and left a gaping hole for everyone in that room to take a look at the lilac underpants which she had (thankfully) worn. It was there that I realised my life was not about to end, but it was already ending. When have your parents embarrassed you? Or, when have you embarrassed your kids? Have you embarrassed your sibling/s? 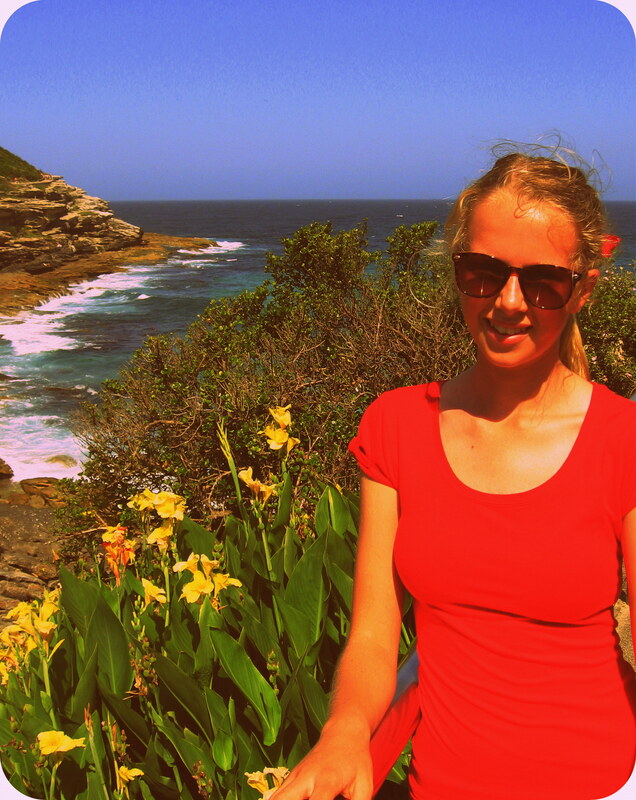 We have a fabulous addition to the Growing Pains Team – Jess. Jess is another teenager, just like me, and together we formed the idea of Growing Pains. Unfortunately, Jess hasn’t be able to join us up until now but that is not a worry – she is now ready to roll! I would like to warmly welcome Jess to the team and help make Growing Pains…keep growing! Now, you are most likely thinking…who is this mysterious Jess? Don’t stress – I have already prepared a transcript of the ‘Get to Know Jess Interview, by the Growing Pains Team’! Growing Pains Team: Hi Jess! What made you want to start a blog for teenagers? Jess: Umm…I really love writing about teenage issues and I love blogging and making websites. GPT: How did you and Abby meet each other? J: Well, we met through hockey and we both played for the same team. I pitied Abby because, she really wasn’t that good! Ha! Only joking. Abby and I just sort of hit it off (no pun intended) during a drill…and we lived happily ever after! And then, one night at a really fierce party (just joking again), we decided we wanted to travel the world together, try out Buddhism and then write a blog. GPT: Just some whacky questions from some of our followers…are you an emotional eater? Poor Jess…she suffers from Emotional Eating. GPT: What movie did you cry like a baby in? J: Marley and Me. (Cue sobbing.) Perks of Being a Wallflower. The Notebook. (Cue Abby sobbing). Beasts of the Southern Wild. GPT: Do you have plans of dropping out of school? J: Hell to the no! GPT: What types of pet do you own? J: I own a dog – Maxi and a cat – Cooper. Abby: She also owns a pet rock. GPT: Last one. What is your guilty pleasure? J: Bridget Jones’s Diary. “Now please shut up. I am very busy and important.” (Yes, she was quoting it). Alright, there’s a wrap. I hope you have gotten to know Jess with all the weird and wonderful facts. Being a teenager. It’s called growing pains. Third time lucky one could say. This is my third blog I have *attempted* to start. And, don’t even try looking at the other two dismal failures. It’s not worth it. Really. And I have already cancelled them…ha. So here I am, for the third time starting another blog. Growing Pains is based upon growing up – through a teen’s eyes. It’s not an adult commenting on what they think teens should do or how to act. It is a teenage girl, talking about events that occur as a teenager; from how to survive teenage gossip to how to eat super healty, super yummy! Being a teen is definitely not meant to be easy. In fact, it is a definite that you will need help. So, that’s why I’ll be posting everyday; to help make being a teen not so ugly or painful. Parents or elders/adults, you are also welcome. I think it will be most enlightening and helpful to understand why and how us ‘gen y’ers’ act and feel. Honestly. It’s all about being a teenager. It’s called Growing Pains.